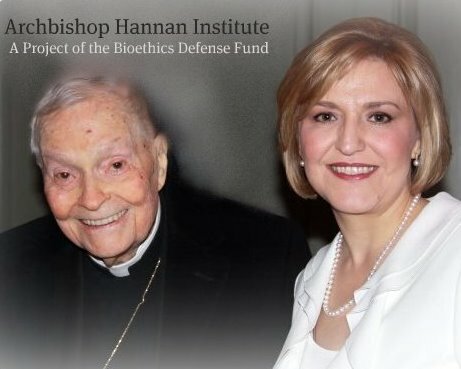 Established in 2010 at the request of Archbishop Philip Hannan, The BDF Hannan Institute is an educational outreach in service of educating medical students, law students and post-doctorate scientists to incorporate principles of human dignity in their professions and to engage in the law and policy debate with the goal of restoring the human right to life. The Hannan Institute for Human Rights in Science is a BDF educational project that focuses on seminars and presentations in law schools, medical schools, seminaries and professional groups. The mission of the Hannan Institute is to engage future leaders with unique presentations that incorporate principles of law, science and reason in the context of live issues currently being debated in legislatures and courthouses across the nation. Based on their two decades of experience in constitutional litigation and strategic legislative drafting, BDF attorneys Nikolas T. Nikas and Dorinda C. Bordlee are sought after for their ability to effectively communicate the pro-life position on complex issues in a way that is clear and concise, yet comprehensive. The BDF Hannan Institute is also able to develop custom presentations for professional schools of law and medicine, legislative briefings, continuing legal education (CLE), and continuing medical education (CME).